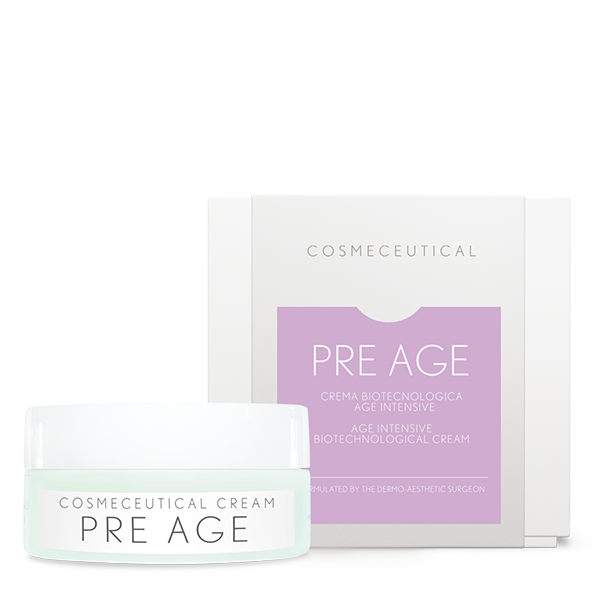 Pre Age is an intensive age treatment cream, suitable for women at every age. It prevents skin damages leading to aging. Pre Age is able to prevent the signs of skin collapse. Skin becomes elastic, smoothed, hydrated and has a lifting effect. SOYA PEPTIDES: improve oxygen presence in tissues. 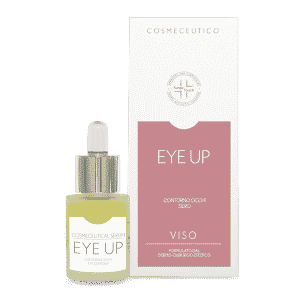 CARNOSINE: is a dipeptide able to prevent cross-linking and stiffening of collagen due to glycation, because it stops skin protein stiffening, it relaxes the connective tissue, it reduces expression wrinkles and it rejuvenates skin tissue. SILYMARIN: oil-soluble, high quality, anti-radicals, milk thistle derive. It protects the skin from oxidative-stress. An important element of protein glycation. PHYTODERMINA LIFTING: is obtained through cyclodextrin solubilization. It is a biotechnological functional substance obtained from vegetable origin row materials. 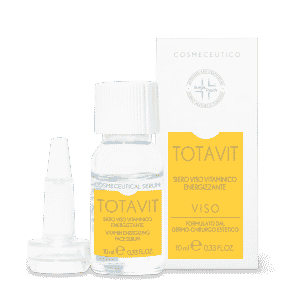 Its application on the skin leads to a lifting effect. VITAMIN A: strong anti-age action on cellular renewal. VITAMIN E: it prevents photo-aging damages, antioxidant action. HYALURONIC ACID: anti-age functional ingredient. It recalls water from the dermis. Apply on face and neck, massaging it.